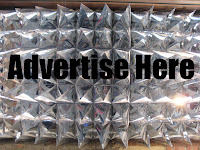 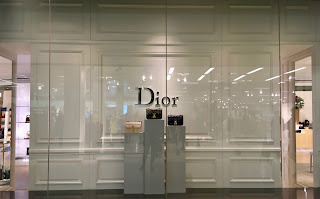 With their signature Grey colour and shiny metallic logo who could mistake Dior. 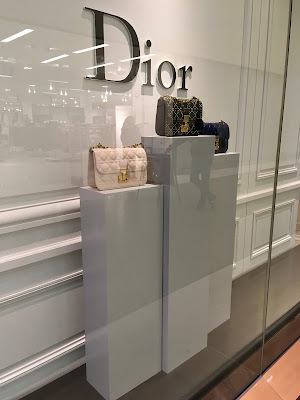 Of course not being a flagship this brands store doesn't get the 'full' Dior treatment that we showed you recently in London with their giant video screens but then thats how retail works. Still, great to see other stores around the country in the final entry with images kindly shared by Jenny Crossland.